This past weekend I helped a friend go through her now deceased Grandfather’s work shed to help sort things out, and in exchange for my help she said I could keep any old electronics gear I found. Well I found some pretty cool stuff and it was evident that her Grandfather was a Ham radio guy! Here’s some pictures with brief descriptions of what I found followed by a video with more details and items. The whole collection on the work bench. 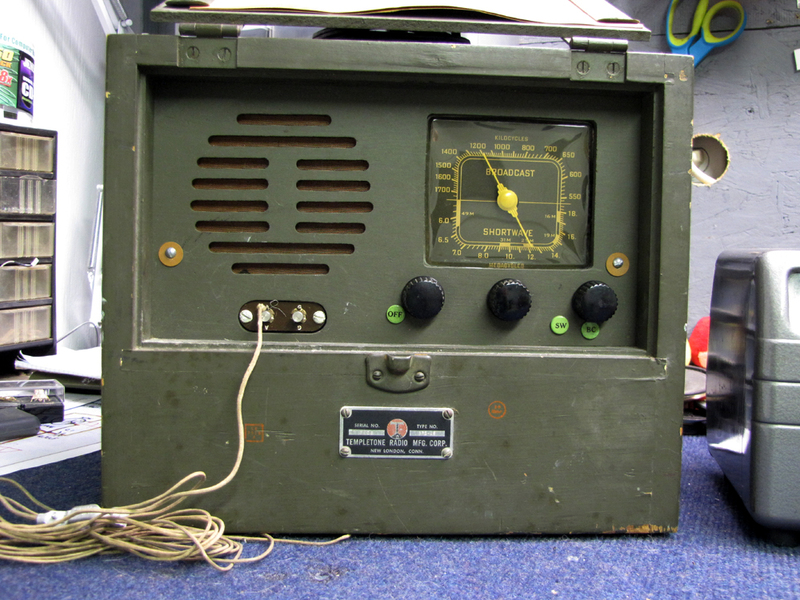 This is a Templetone Radio model # BP 2-A5 from WWII. 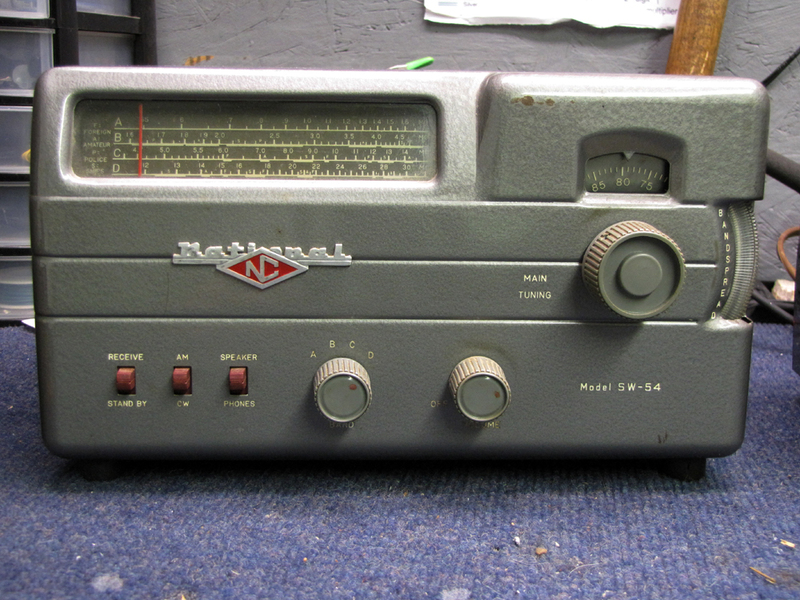 It ran on batteries and had tubes!This radio picked up “broadcast” band and shortwave transmissions. This a National Radio SW-54 shortwave receiver from the 50’s and it works just fine. 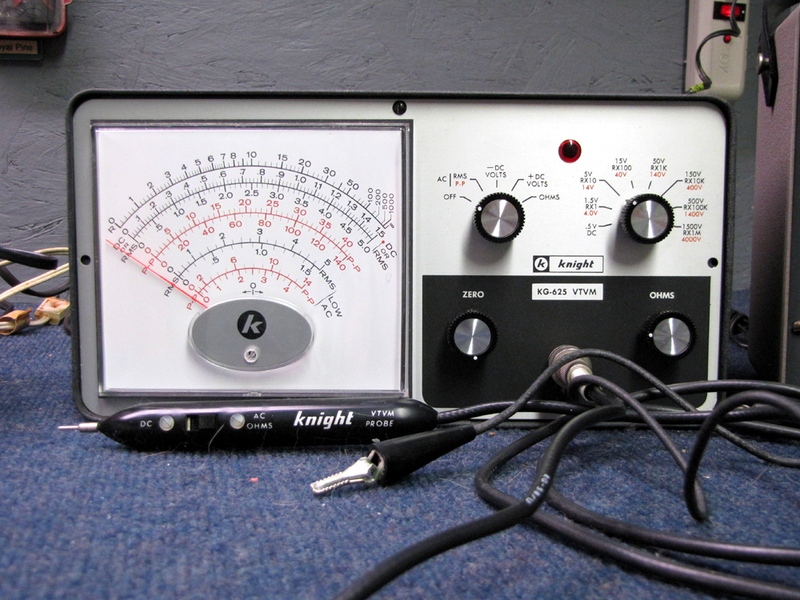 Here’s a tube operated volt/ohm meter from Allied Electronics. It was made under the name “Knight-Kit”. 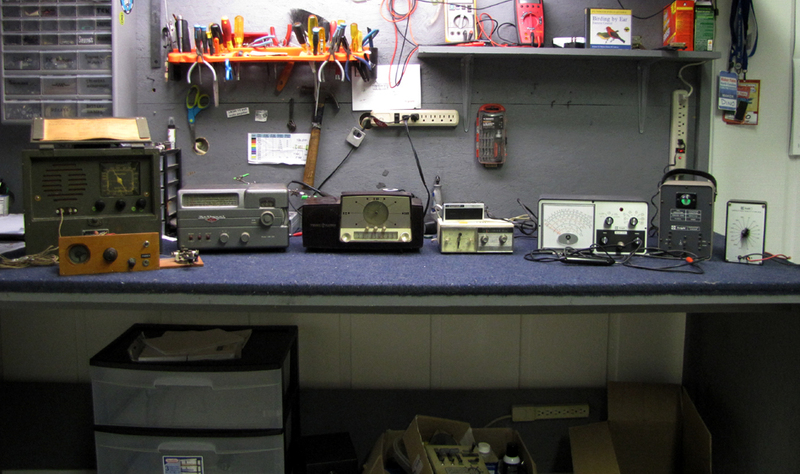 These kits were marketed to hobbyists and amateur radio operators. This one still works! 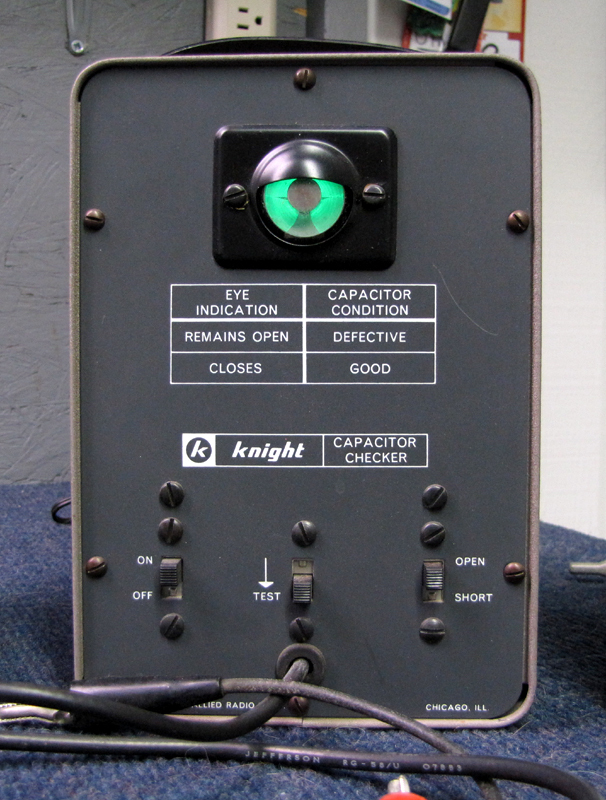 Here’s another cool tester from Knight. It’s an in circuit capacitor tester with a “magic eye” tube. I tested it and it works great. A closeup of the “magic eye”. And here’s this week’s video showing all this stuff and more! Keep on hackin! The radios are especially near and dear to my heart. 1) The National SW-54: I just resurrected one of these and completed the alignment a few days ago! The Foreign, Police, etc on the left hand side of the frequency ‘dial’ is actually a legend for services and NOT a definition of each band. The band switch actually selects a line of the band scale, with A being the top one, B the next down and so on. You will see small letters interspersed between the actual frequency numbers of the dial that correspond to the ‘service’. In actuality, Band A is the Broadcast. 2) The first Zenith transistor radio: The transistors you refer to as JFETS are actually old Germanium transistors. JFETS are considerably more recently developed transistor types, at least to the general public! I don’t mean to be picky, but you did such a good job with the rest of the presentation that I am sure you would appreciate the corrections. I spend a lot of time educating in my professional as well as my personal life, and strive to replace ignorance in the general public with true facts, so I am ever vigilant in making sure what I say is correct! BTW, when I say ignorance I mean ‘lack of information, and do not mean it in a demeaning way. Thanks Mitch! I’m always open to corrections and discussion of the content I post. I learn from it all too! 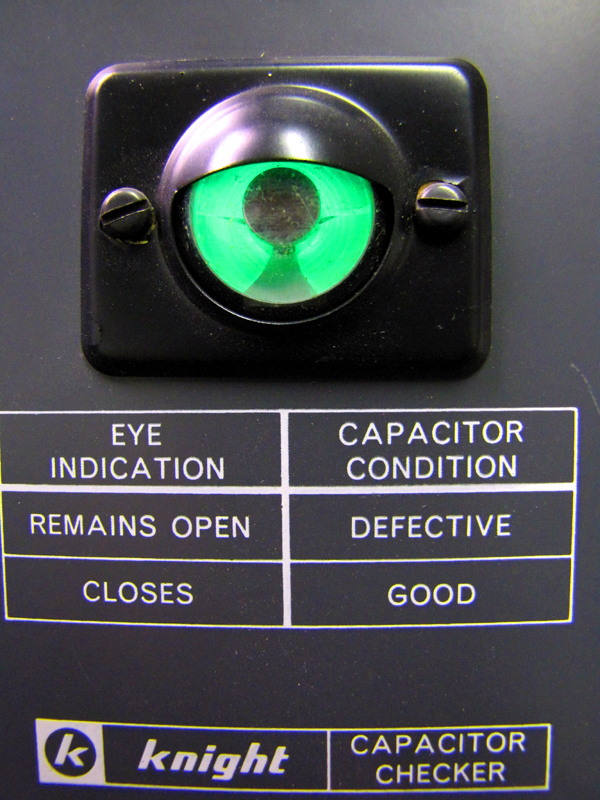 I’m so jealous of the Capacitor tester, had one as a kid. Should have hung onto it. site, I have a link to my first computer the H-8. Should have hung onto that also.